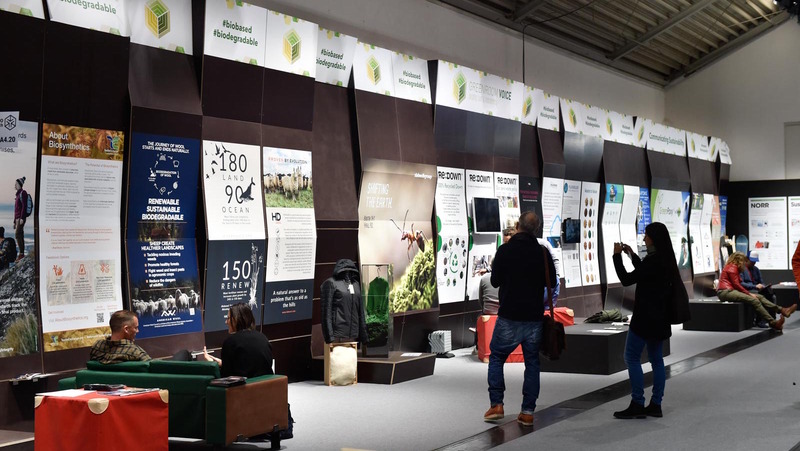 At ISPO 2019 in Munich, GreenroomVoice showcased 18 leading and new-comer brands, suppliers and organisations presenting innovative solutions around biodegradable or bio-based materials to tackle the challenges of resource efficiency and plastic contamination in nature. Bio-based materials are not new to the outdoor industry, but especially bio-based synthetics and biodegradability have become very important factors over the last decade. 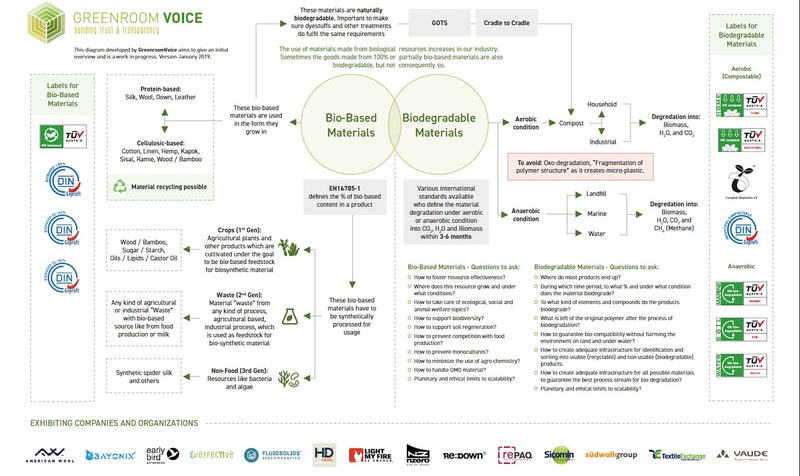 There is a lot of development (technical and infrastructural) going on around bio-based raw materials and biodegradability, so we decided to gather all information on a poster to give a first overview. This is work in progress and will be updated at the OutDoor by ISPO fair from the 30th of June to the 3rd of July 2019. Not everything that is bio-based also biodegrades and visa versa. There is an overlap, but it is fare less than 100%. To tackle the subject and in order to navigate through the choice of potential materials and finished products, it is also helpful to understand the meaning of bio-degradability. Biodegradability is influenced by many conditions and the diverse degradation environments obviously have different set ups. Degradation processes can take place under anaerobe conditions (without oxygen) like in landfill and under water (also seawater) or under aerobe condition (with oxygen). Aerobe environments, for example, are industrial composting and home composting. Industrial composting takes place in a relatively short period of time and is running under specific process parameters in regards to humidity, temperature, oxygen, etc. The process parameters of home composting on the other hand, are not clearly defined (even though they could be!) and are (most of the time) not regulated. Or do you know someone who measures the temperature of their compost heap and turns it over every two weeks? If you do, those kind of people deserve a medal, as they prepare the humous of tomorrow! Of course here we are talking mostly about food and biological waste and not yet textiles, etc. But this is exactly the gap the industry is trying to bridge, especially by creating biodegradable products for industrial composting to take the pressure of landfill. The many variables in the home composting process mean, that a certification towards home compostability is much harder to achieve then towards industrial compostability, where the environment is controlled and optimised. Most importantly any kind of oxo-degradation must be avoided. This is a process, which leaves fragmented non bio-degradable particles instead of organic substances and nutrients. In Europe, oxo-degradable plastics will be forbidden by law soon, as they add to the problem of micro fibre plastic pollution considerably. But in other countries they might not be banned for a while. And pollution doesn’t stop at political boarders. While crude oil needs to be transported, organic raw material could be grown almost anywhere, and closer to the production sites. Local farmers can supply virgin bio-based material to the industry with less CO2 impacts and even with a positive effect. With limited quantities of crude oil, and price being a crucial factor, bio-based alternatives might be a solution for more independence. Of course, the production of bio-plastics needs to respect the local and export food production. It would be very counter productive, if the use of bio-plastics reduced the food source for people and the animal kingdom or leads to the loss of biodiversity. But many bio-plastics can be made from organic side products, which would end up as waste, if not used. But when speaking of using renewable resources, we also do need to take a look at the bigger picture: As soon as we extract biological material for our consumer goods, we take nutrients out of the ecosystem, which are important to feed us and future generations. It will be crucial for the health of the earth’s soils, that we give nutrition and organic content back and keep a very close eye on agrochemicals, toxicity and genetically modified seeds and plants. Besides that, the increased demand on adapted plants will most likely define and change the agricultural landscapes. Those reflections only scratch the surface of a very complex and interdisciplinary scenario. The other challenge is to make sure, that the product ends up in the right environment at the end of it’s life, so it can be either re-used, recycled, down-cycled, bio-degraded or if none of those options apply, incinerated, which should be the last resort, but still is the first option, besides landfill, in our current landscape of end of life management. At ISPO in February 2019 we had many very inspiring partners. Some work with bio-based synthetics: like Light My Fire camping cutlery, NZero ski wax, VAUDE’s bio-based nylon project, Südwolle Group’s new threads, which blend wool and bio-based synthetics and Sicomin epoxy resins. Others, like Fluid Solids make bio-based synthetics possible by transforming agricultural waste! Repaq presents a perfect solution for bio-degradable packaging. And Byonix has a biodegradable drinking bottle. Not to forget all the organic fibers which are naturally bio-based and biodegradable like wool from America and England represented by American Wool and HD Wool or recycled down by Re:Down. 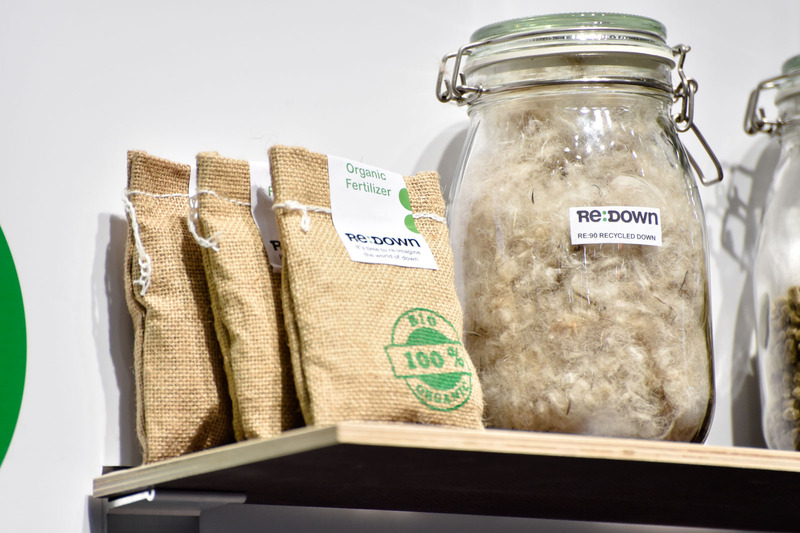 Besides those, organic cotton, hemp, linen and wood are valuable bio-based and biodegradable (if not mixed with something non-biodegradable of course!) materials, just to name a few. Early Bird Skis for example uses a wood core and a linen carbon mix for the perfect stability and flex in their super light-weight skis. 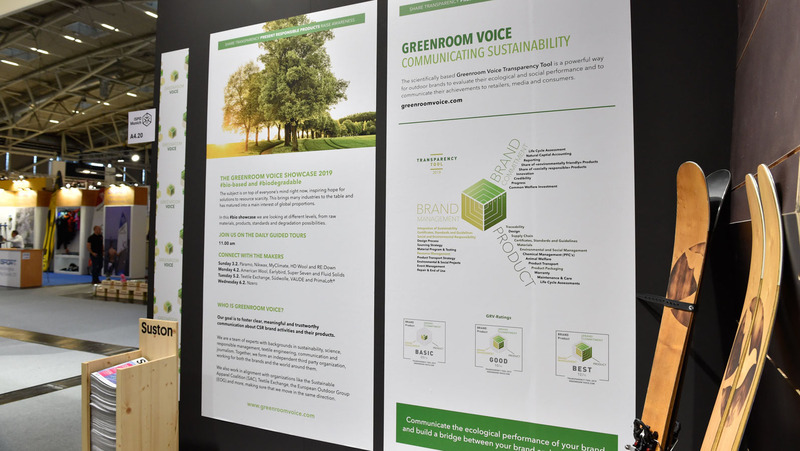 You can check out their full environmental credentials at their GreenroomVoice profile here. Besides products we also presented Textile Exchange’s current work on bio-synthetics and myClimate’s solutions to footprint reduction. We are taking the showcase to OutDOOR by ISPO in July 2019- be part of it! Our search for future oriented solutions that excite sustainability enthusiasts continues. 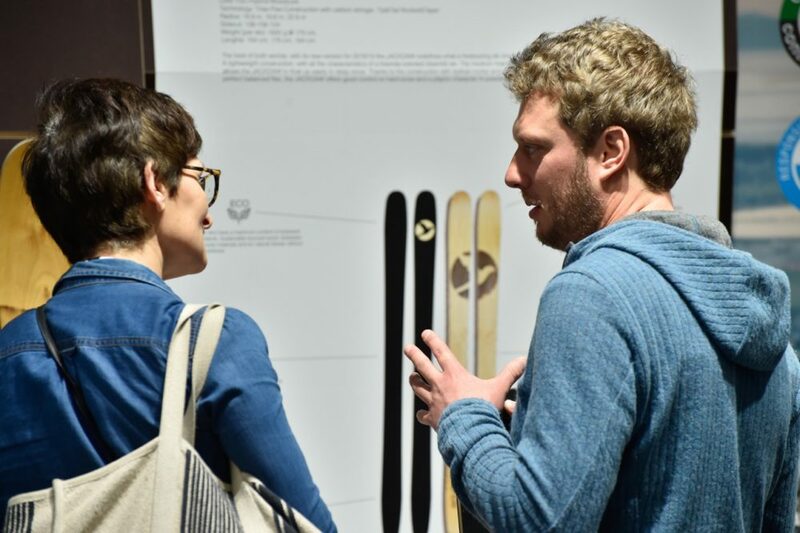 We will feature the #bio showcase again at the first edition of the Outdoor By ISPO, which is taking place in Munich from the 30th of June to the 3rd of July 2019. 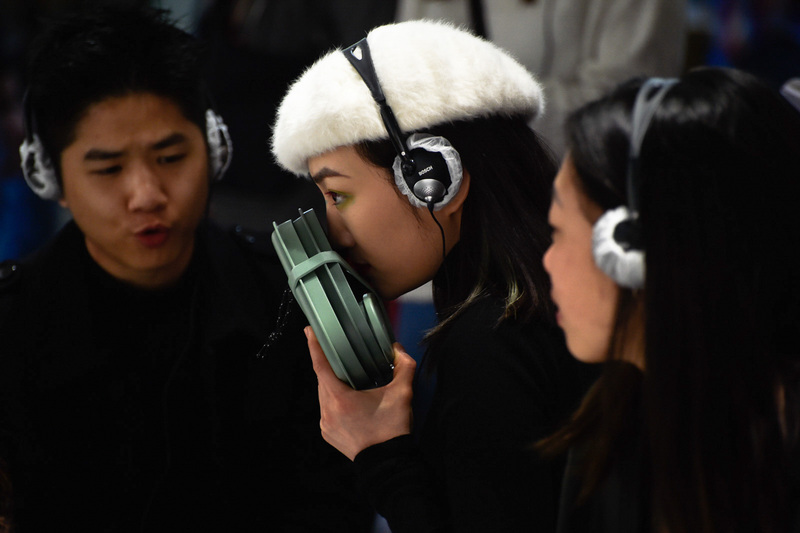 If you have a suitable project, product, idea or service, please let us know!